lovesong of the electric bear has some stiff, Oscar nominated competition. 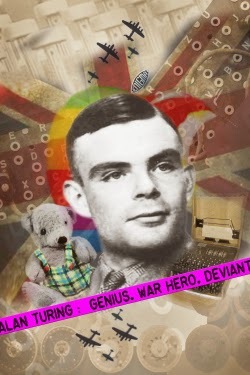 As with The Imitation Game starring Benedict Cumberbatch, this play from writer Snoo Wilson (receiving its European premiere) centres on the life of Alan Turing. Both works are biographical, and each offers what the other lacks. Where the grave The Imitation Game focuses predominantly on the mathematical genius of Turing and his role in the war, the contrastingly lighthearted lovesong of the electric bear focuses instead on his personal life. Stirred from his deathbed by his childhood teddy bear Porgy like some Ghost of Christmas Past, Turing is taken on a whirlwind flashback of his life. The significance of the bear? This is never really explained, but Porgy’s attempts to stop Turing from taking his own life are tragically futile. We witness Turing as a nervous and bullied schoolboy with perpetually inky hands, a Cambridge student growing in confidence, a war hero, an awkward fiancé, a private homosexual. Yet despite the stage space cleverly utilised and filled with props and costumes like a machine or the insides of Turing’s mind, we never witness Turing actually at work as a cryptanalyst on his famous Enigma code-busting computer. The evidence for his genius is instead implied as the play turns its attention towards his personal life. Even then, this feels like a whistle-stop tour of key moments in his life. As a drama, the pace never slows to allow the events to settle in the mind or for the characters to breathe. The play never really gets to grips with its subject matter. Through the eyes of Porgy, it all has a slight air of childishness, though this does allow for some psychedelic and inventive theatrical storytelling. The cast use the full space around the audience to great effect, with colourful lighting and a great number of props and costumes scattered around the room. It’s a thrill to watch and certainly feels immersive, though it’s equally disorientating and fragmented with the playful tone threatening to undermine the serious subject at the play’s heart. 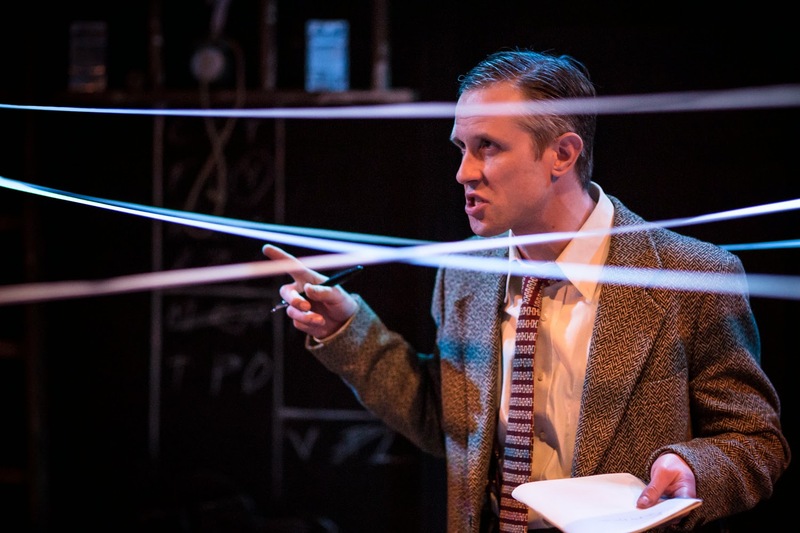 Ian Hallard’s depiction of Turing is this production’s main draw. His performance is detailed, convincing and well thought out, full of awkward physical quirks. The play’s final moments with Turing on his deathbed are genuinely touching. Elsewhere, the remains of the cast are on fine comic form as they switch rapidly between various eccentrically portrayed characters. As such, Turing’s life is richly portrayed through some creative storytelling. Yet by the end, as with the play’s cinematic competition, Turing himself remains something of an enigma. Watch: lovesong of the electric bear runs at the Hope Theatre until the 21st March.